Be it a smooth strawberry milkshake, delicious fruit smoothie, or a smooth butternut soup, the Wolf Gourmet blender will prepare what we desire for. Extraordinary high performance, convenient speed control and an exclusive design for noiseless blending are some of the features which aim at making your blending experience – a pleasure. The features that distinguish Wolf blender from other market blender are the advanced technology and multiple blending modes which are designed to save your precious time. However, before selecting an appropriate blender for our kitchen, it is necessary to know your requirements and blending needs. Someone’s needs might not be compatible with other’s need. 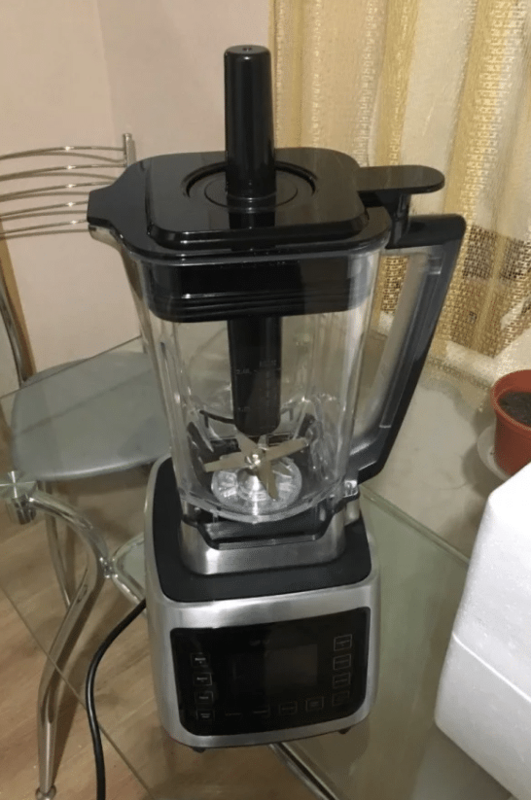 Hence, this Wolf Blender Review aims at elaborating the features of Wolf Gourmet Blender so that you can have a detailed account of the various characteristics about it. The review will encompass all the technical specifics, functionality, benefits, recommendations and how it can be compatible with your personal preference. Before starting with the review, let us have a brief introduction about the Wolf company who is the producer of Wolf Gourmet blender. Wolf Gourmet Blender is a product of a renowned kitchen appliance brand – Wolf Gourmet. With the headquarters in Madison, Wisconsin, Wolf Gourmet was established by world-famous Sub-Zero Wolf in 2015. The quality of manufacturing of appliances including Wolf countertop oven, two and four slice toaster, Wolf Gourmet Blender and ranges have been consistently maintained. The construction of Wolf ranges is such that it can last up to 20 years of continuous use. To ensure a quality product, ranges are verified under simulated heavy use. Continuing the legacy of the Wolf products, Wolf Gourmet Blender is a high performance and convenient solution. With the revolutionary techniques, it has brought a new dimension in the range of high-end blenders. Typical blenders may function fine at first, but many are incapable of handling high-power processing on a variety of food materials. Some parts may wear down or burn out, and others may be hard to disintegrate and clean. Since Wolf Gourmet provides a 5-year warranty with the blender, as for all its product, it gives us a satisfaction to put the blender to a good use in the kitchen without it getting disrupted. Carrying the signature red knob of the Wolf brand, the high-performance blender is very powerful and substantial. The stainless-steel body and die-cast body gives a professional and high-end appliance look. The size has been kept adequate to fit it under the top kitchen cabinets. With extraordinary strength and stress- free controls via LCD timer, it is easy to prepare frozen cocktails, creamy squash soup, and smoothies. It is a perfect choice for people who love to make smoothies, nut butter, sauces, milkshakes, batters, drinks. Soups and other stuff. Besides fulfilling the expectation of a regular blender, its add-on technology, and advanced functions helps it in eliminating other kitchen appliances once and for all. The pre-set settings and controls broaden the scope of food preparation and save time. 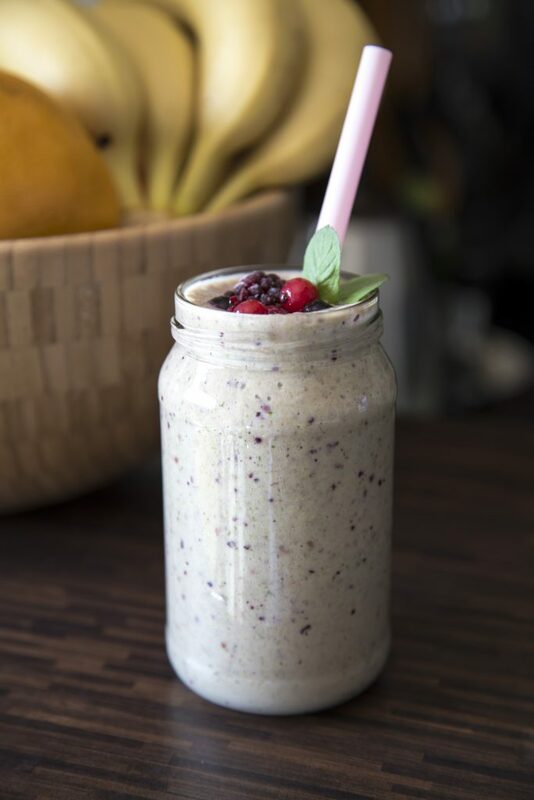 The blender indeed provides a higher nutritional value than the store-bought products. Due to its capability of extracting healthful nutrients, it can undoubtedly do a lot. The drinks and edibles created by Wolf blender are definitely different and unique in its look and texture. The smoothies stay fresher and healthier for a longer time. The available models are WOLF WGBL 120S, WOLF WGBL 110S, and WOLF WGBL 100S with red knob (Wolf brand’s signature knob) and black and stainless-steel knob giving it a classy and professional look. The Wolf Gourmet blender delivers an effective blend of power, performance, and steadiness. It also offers a variety of speeds for blending specific food items according to our requirements. The Wolf Gourmet blender features a 2.4 peak performing motor driving blades that produce over 210 motions. Accurate blending for even and smooth texture is ensured via dual settings. The rotating force aids in keeping the blender’s temperature cool. It further enhances the appliance’s capability to generate consistent and balanced power while processing. The motor accommodates a strong, all-metal drive and controls an extraordinary array of stainless-steel blades which can speed up to 210 mph for efficient results. Wolf blender technology also uses a unique multi-colored brushed stainless-steel control knob. Stainless steel and die-cast construction contribute to a smooth and contemporary design with high durability. The secured and tight-fitting cap prevents spillage while operating at higher speeds. 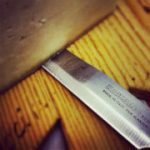 The blades are sturdy and ultra-strong, thus need no sharpening. It upholds steady action throughout the life-span of the blender. The advanced LCD control panel keeps us updated with the blending process by displaying selected speed, program settings and blending time. The presence of 4 appropriate, pre-programmed settings allows us to set the desired speed for smooth blending, mixing and grinding. The one-touch operation method allows us to attain quick and steady results every time. The built-in timer functions with both pre-set modes and manually. The pulsing action is well-suited for most standard blending speeds ranging from low to high. Comes with four pre-set modes to deliver a convenient and quality solution, which includes Smoothie, Purée, Ice Crush, and Soup. With the variable speed dial, it is easier to blend ingredients according to our requirement. Pulse function allows manual control of speed ranging from highest to lowest. The Wolf Gourmet Blender reduces the manual labor required for food preparation. We can do quick chopping, pureeing, whipping, emulsifying and grinding. The 64 ounces ultra-sized and a shatter-proof jar is also BPA free. 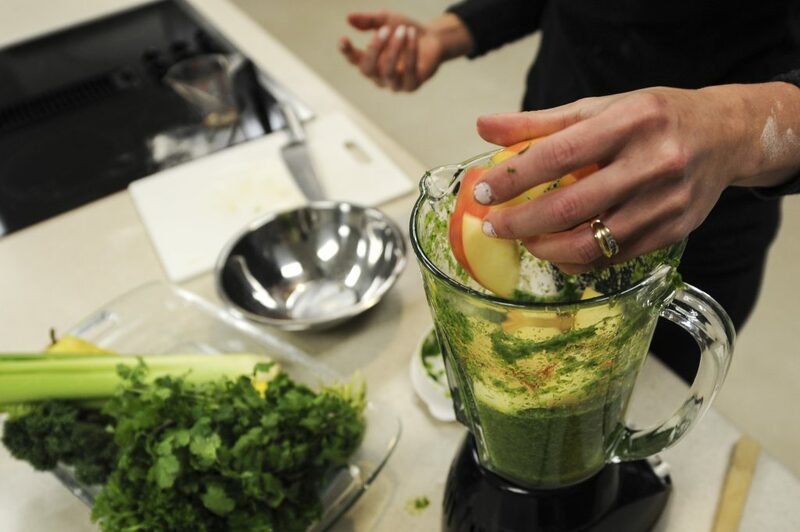 The blender provides a specialized touch to most kitchen tasks and is appropriate for professional chefs and homeowners. The Wolf Gourmet Blender comes with a tamper that fits into the cover to break the thick, frozen liquids. Advanced airflow management helps in reducing the motor noise. Air-tight lid features an emulsion dosing cup to allow the addition of ingredients while blending to ensure quality mayonnaise, dressings, and marinades. Besides being BPS-free and shatterproof, the Tritan blending carafe is marked by measurement markings to make the measuring process more convenient. The Wolf blender offers constantly high performance in the range of kitchen functions. It can blend batters for muffins, bread, pancakes, and waffles. It also consists of a separate smoothie setting. 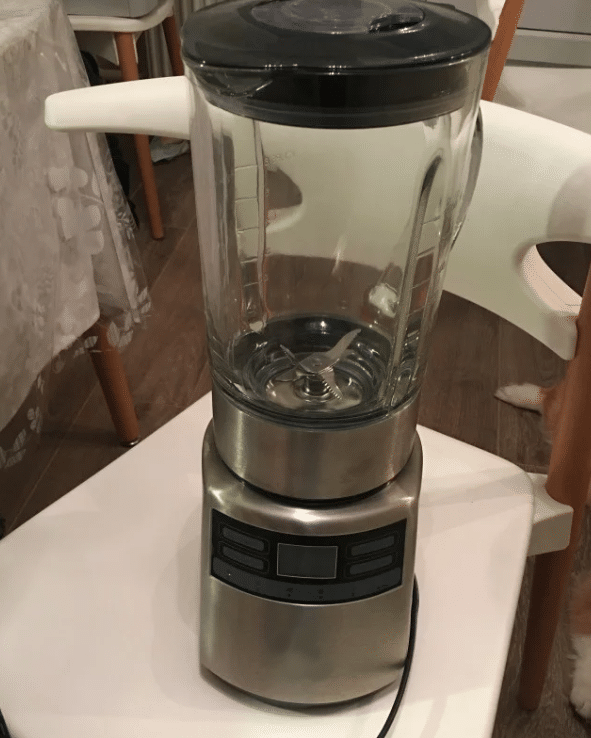 It has features to make smoothies, make instant soup, chop vegetables, and purees, sauces, shakes, cocktails, and beverages and also crush ice. The blender is also efficient in grinding nuts and seeds for making butter and spreads. The Wolf Gourmet blender is convenient to set up and use. It is easier to clean up via its self-cleaning feature. Its apt size makes it easier to store and does not require a lot of space to function. The blender does not tremble and stays steady while blending. The robust and fast-acting features help in reducing prep time in the kitchen for reliable quality. The Wolf Gourmet Blender comes with 4 pre-set modes including Smoothie, Ice Crush, Purée, and Soup. Here is detailed information about the functioning and processing time of each mode. Smoothie – The mode intends to blend either fresh or frozen smoothies. This automatic function starts with pulsing 5 times to crush ice and portions of fruit or vegetables and then rise up to HI for 45 seconds. Ice Crush – This stimulating feature alternates between LO and MEDIUM in a series of pulses for 1 minute to crush ice into slush-sized ice bits. Puree – This mode is designed to grind ingredients into a fine powder or creamy liquids. Besides making purees, this feature also grinds flour and powders sugar. This program works for 1 minute. While starting from Lo speed, it goes up to HI speed gradually. Soup – The Soup mode works for around 5 minutes and 45 seconds. 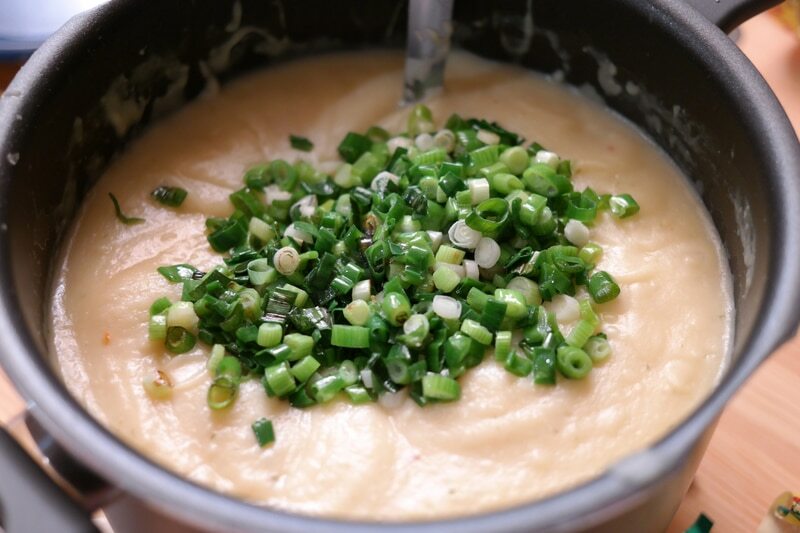 It begins with cold or room temperature ingredients and then starts to puree and heat them over the course of the blending to just below boiling. It provides us with a hot soup from whatever ingredients we put in. Besides, you can use the manual mode. You can select blender speed according to the requirement by moving the dial from LO, or 1, to 10, or HI. Besides these pre-set modes, Wolf Gourmet blender is fully equipped for making different types of salad dressing and other fruit mixers. 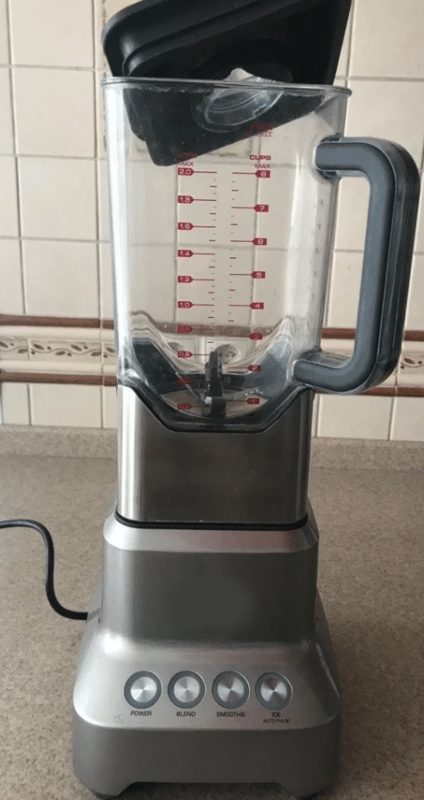 This blender is an appropriate appliance for chopping or making some of the best food products that you eat in the market and aspire for making the same at your own place. You may also prepare mixes to be used for other dishes. Smooth and soft dough and batters can also be easily prepared for pancakes, cookies or other food items. Besides grinding soft food items like oats, Wolf blender can easily grind through seeds and other hard items to produce a consistent powder. Coffee beans can be easily grinded to acquire the best coffee powder with even consistency. Milling the flour to get a required consistency is also made easy with the help of this blender. Usability: The Wolf Gourmet Blender is easy to clean and requires no disassembling for washing purposes. It can be cleaned by using warm water and 2-3 drops of dishwashing soap and operating the blender for 1 min on HI speed. Savings: According to the data, preparing meals from raw material saves more time and money over market bought edibles. Further, since the blender comes with 4 pre-set modes, it reduces the cost of buying additional kitchen appliance to fulfill the requirements. You can eliminate buying mixer, grinder, food processor or mill. 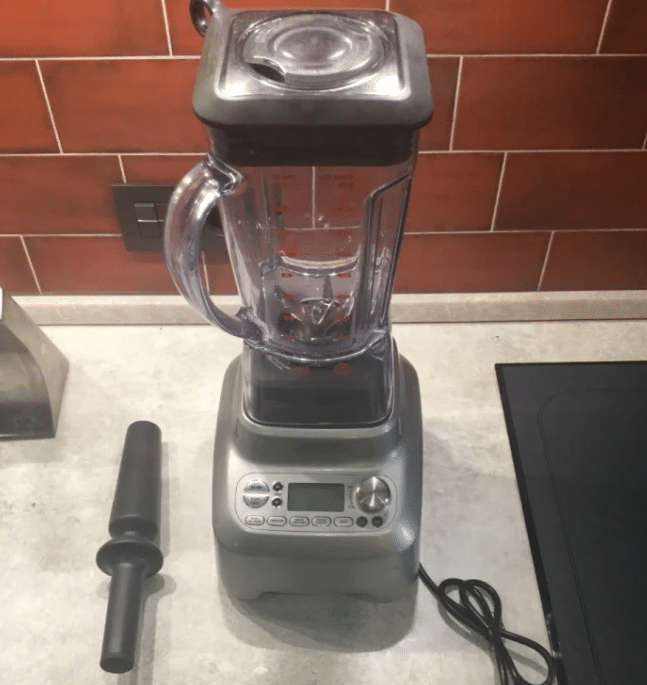 The high-performance blender will help you to save time by eliminating some of the manual steps in food preparation including grinding, chopping or mincing. Durability: Along with the blender being multi-functional, it is important to ensure that it is durable. Wolf blender guarantees consistently high performance even under high pressure. High-tech engineering, robust nature, sturdy stainless-steel construction, and cooling technology ensure reliable, high-quality and hygienic results. Multipurpose: The Wolf Gourmet Blender provides a wide range for preparing food items including nut and seed butter, beverages, shakes and smoothies, spreads, purees, bread dough, and batters. Environmental Considerations: The use of Wolf blender will help you reduce dependence on market-brought, disposable plastic containers. It also lessens the load in landfills that take numerous years to decompose. Warranty: For long-lasting performance and consistency, the Wolf blender offers a guarantee of up to 5 years. The blender is a substantial and significant long-term investment. It will reduce the headache of replacing the defective parts or changing the equipment frequently. Versatile, extremely functional and robust. Wipe the blender using a clean and damp cloth. In order to clean the blending carafe, fill half of the container with water and add 2-3 drops of dishwashing soap, then run the blender on HI for 30 seconds and then rinse. Dishwasher cleaning is not recommended. The Wolf Blender comes with a built-in overload protection feature which prevents it from overheating. 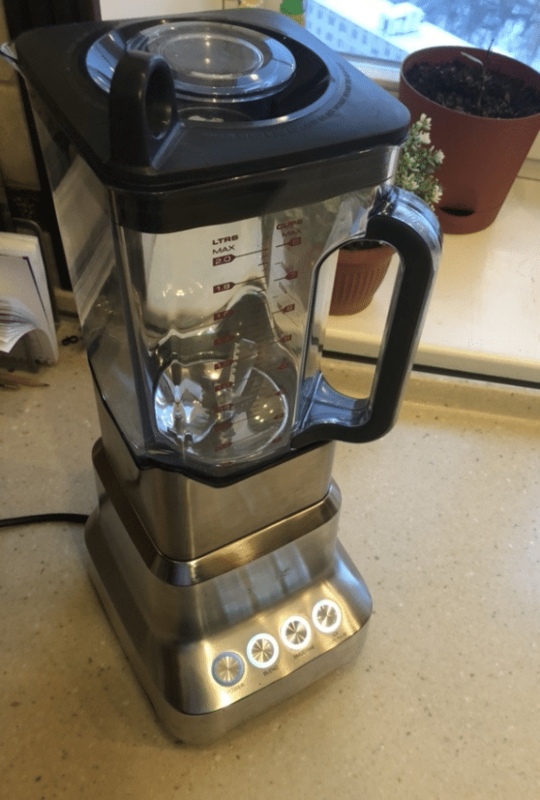 The blender turns off automatically if it detects motor getting too hot. In such circumstance, unplug the blender and let it cool for around 15 minutes. The three models of the Wolf Gourmet Blender come with a change in the color of the blender knobs. The WGBL100S features a Red knob, the signature of the Wolf brand, the WGBL110S has a Black knob and the WGBL120S contains a Stainless-Steel knob. The tamper of the blender helps in pushing leafy food and hardly submergible food down the blender blades. The Wolf Gourmet Blender covers a space of 20.25 inches including the clearance. Since it uses a lot of stainless steel to make itself solid, it weighs 15.9 pounds. It comes with a standard 5-year warranty. Since there are no extended warranties with a longer time span, you don’t need to purchase an extended warranty. According to our Wolf Blender review, it is a powerful solution to all your blending, grinding and mincing. It will help you to prepare a variety of eating treats in your wishlist for social gatherings as well as regular use. You can always look up to the blender for preparing cocktails or smoothies to please your guests and family. The blender has proved to produce consistently high results and brilliant versatility. 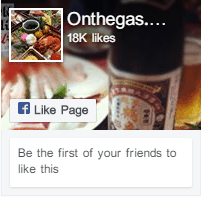 It is no-doubt user-friendly and convenient to use. Further, it contributes to saving time and money by eradicating manual steps for food preparation and dependence on other kitchen appliances. However, the blender costs much more than the other blenders in the market. It would not be wrong for me to say that the technology used is definitely like reinventing the blending experience. Its simplicity and versatile nature have helped it to acquire a place in every health-conscious and taste lover’s heart. No matter what you wish to eat or drink, this blender is designed to make your kitchen experience a lot easier and convenient.